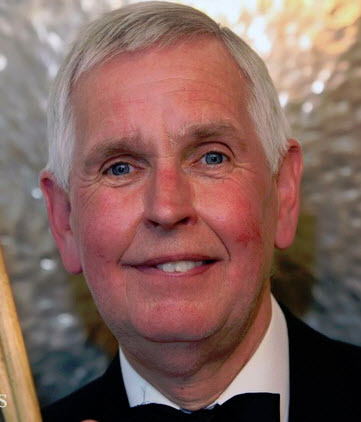 Gavin was appointed as pianist and staff conductor for Northern Ballet Theatre from 1992 – 98. On the basis of his first CD, British Light Music Discoveries on ASV, Gavin began working with the Royal Ballet Sinfonia on the concert platform and as the orchestra of Birmingham Royal Ballet (involving both national and international tours). He has featured as Principal Guest Conductor of the Royal New Zealand Ballet, and has also guest conducted for New National Ballet of Japan, Norwegian National Ballet, Atlanta Ballet, New Adventures and South African Ballet Theatre. In June 2008 he was appointed Music Director of English National Ballet, becoming Principal Conductor in 2010. He has conducted the company on both national and international tours, and has also contributed orchestrations to the company for their productions of Akram Khan’s Giselle (Vincenzo Lamagna after Adam), Le Corsaire (Adam et al), Men Y Men (Rachmaninoff), No Man’s Land (Liszt), and the ENB2 productions of Angelina Ballerina’s Big Audition, Angelina’s Star Performance and the My First Ballet series. In August 2009 he was appointed Chairman of the Light Music Society, taking over from the President, the late Ernest Tomlinson MBE, and also being responsible for Library of Light Orchestral Music, an important archive offering over 50,000 sets of light music for sale or rental to the public, in order to actively promote the performance of light music all over the world. 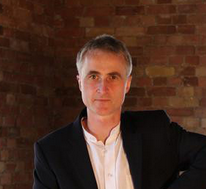 Gavin Sutherland is a conductor, composer/arranger and pianist. Born in Chester-le-Street, County Durham, UK, he studied conducting, piano and orchestration at Huddersfield University and graduated with first-class honours, as well as gaining the Kruczynski Prize for Piano and the Davidson Prize for Distinction Brought to the Institution. British accordionist (Born May 15th 1963). He has worked as session musician, has appeared as soloist with the London Symphony Orchestra, The Royal Philharmonic Orchestra and The Philharmonia. By the age of four, Eddie had harassed his parents so much for a drum kit, that their only way of attempting to disabuse him of the notion of playing music was to present him with an accordion! Despite this setback, he took to the instrument and went on to become All-Britain Solo Accordion Champion. Having decided that it was much more fun to play with others, he did not pursue a solo career and since then, he has worked with an endless list of stars from Luciano Pavarotti to Westlife, including The Corrs, Chris Rea, Ronan Keating, George Martin, Ute Lemper, Andrea Bocelli, Bill Wyman, Lesley Garret and Russell Watson to name but a few. Despite being one of Europe's master accordionists, Eddie has spent his years with ZUM insisting that he had nothing to put on his biography. However, painstaking research and intense interrogation over the past decade and more has revealed that he is the accordionist of choice for pretty much every major Hollywood movie. 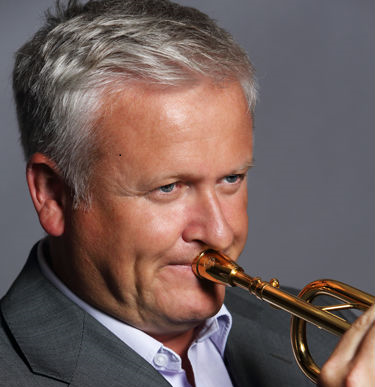 Mike is sought after as a teacher, clinician and is a professor of trumpet at The Royal Academy of Music and The Royal College of Music. In April 2013, Mike was proud to be awarded the prestigeous position of The Derek Watkins' Chair of Trumpet at The Royal Academy of Music, London. In 2009 Mike was soloist with the Lucerne Festival Orchestra Brass Ensemble and more recently the Espoo Big Band Helsinki and The London Symphony Orchestra with Eddie Daniels. Mike Lavatt studied at Trinity College of music where he was awarded the Jon Kelly Jazz Scholarship. He has performed and recorded a wide range of musical styles with many artists including Quincy Jones, Robbie Williams, Eric Clapton, The Orchestra of the Royal Opera House Covent Garden, The Royal Philharmonic Orchestra, Michael Buble, Oasis, Michel Le Grand, Tony Bennett and many more . EXECUTIVE DIRECTOR Paul Barrett Paul Barrett is a retired businessman from Sheffield, now settled in Sandbanks, who has dreamed about playing in his idol’s orchestra all his life. He was trained by Charles Botterill, Mantovani’s longstanding percussionist, in the special one-man technique, and owns most of Botterill’s original instruments. Paul has spent over 30 years as a regular percussionist playing at the Sheffield theatre, the Sheffield City Hall and many other theatres in the Yorkshire region, before forming the Independent Mantovani Orchestra UK in 2008 for a tribute concert at the Lighthouse in Poole. Told that his concert would not be successful, Paul persevered and amid critical acclaim from fans and the media alike, the Independent Mantovani Orchestra UK is now performing their fifth annual concert. Retired company boss Paul Barrett is a man obsessed; a man possessed; a man gripped by a passion so enduring he has dedicated to it most of his life, a chunk of his considerable fortune and an awful lot of time he could have spent relaxing with his partner, Trish. Sam Hanson was born in Poole in 1985. He took up the organ in 1995, studying initially with Sean Tucker at Wimborne Minster. From April 2000 he studied with Alan Harwood, and in January 2003 achieved the Associateship of the Royal College of Organists (ARCO) with the highest marks in the organ playing section for candidates less than 19 years of age. He has also studied with Sarah Baldock and Thomas Trotter. Sam has held organ scholar posts at St. Peter's Church, Bournemouth (2001-2004), Salisbury Cathedral (2004-2005) and Jesus College, Cambridge (2005-2008). 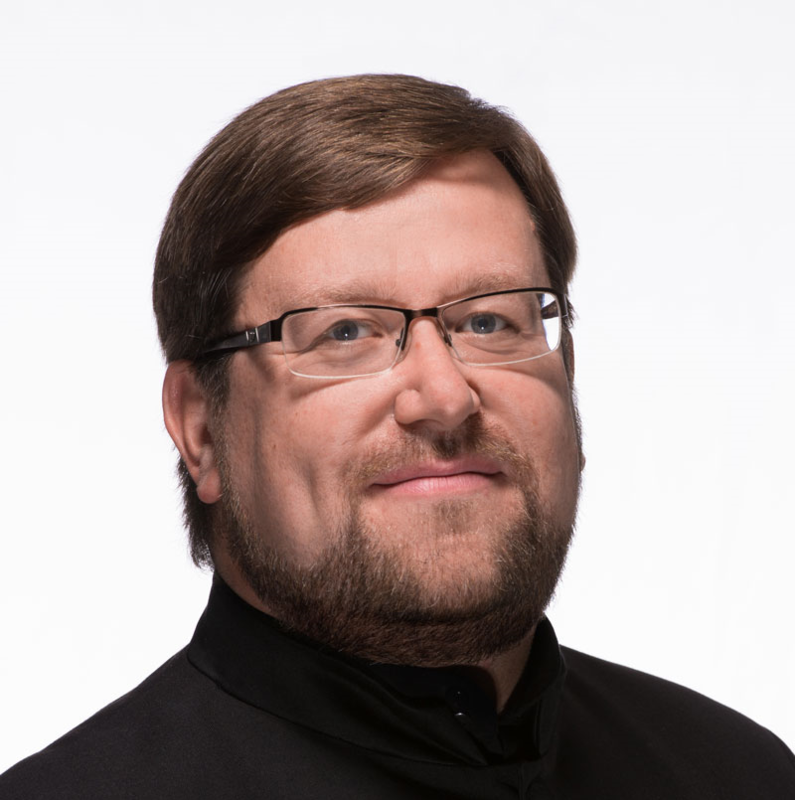 He is now Assistant Organist at St. Peter's Church. Sam also plays keyboards for alternative rock band Oposium, has appeared as soloist for performances of Rachmaninov's Second Piano Concerto, Gershwin's "Rhapsody in Blue" and Constant Lambert's "Rio Grande" and spent two years conducting Jesus College Orchestra. 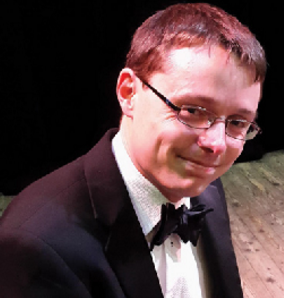 Sam was organ scholar at St Peter's in the 1990s, and learned his skill at the organ from Sean Tucker (Wimborne Minster) and extensively with David Briggs (formerly Gloucester Cathedral and now based in the USA). After a year as Organ Scholar at Salisbury Cathedral, Sam read music at Jesus College, Cambridge and followed Peter Hurford's footsteps as Organ Scholar there. 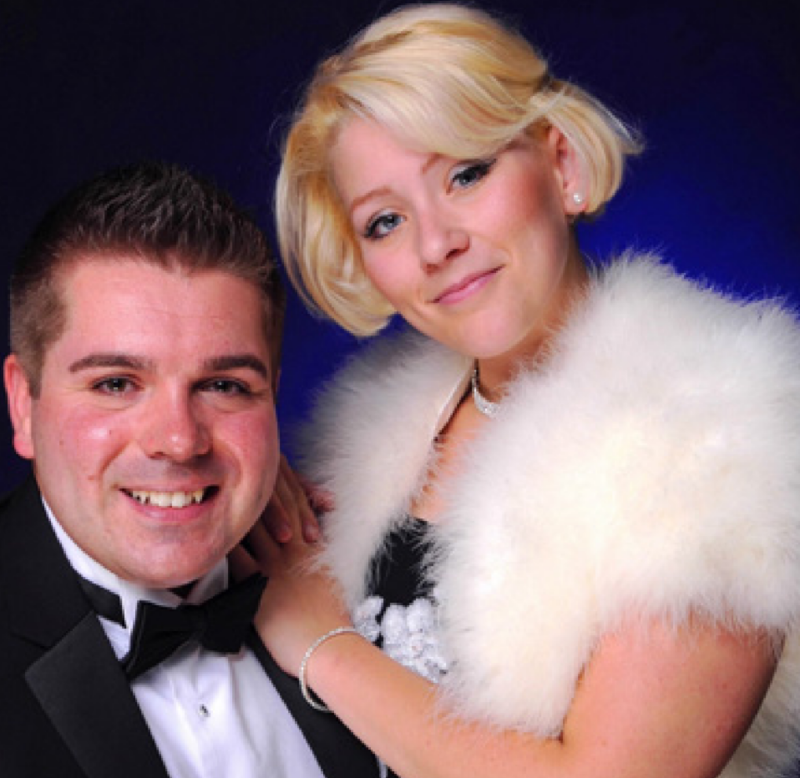 They have gained loads of experience entertaining in Hotels, Clubs, Private Parties, Gala dinners and many more so if you are interested in finding out more info regarding bookings for your event or venue then get in contact. They have been singing professionally together for the past three years and love to sing in new venues for new audiences and are always updating their music to accommodate requests. Also wanted to let you know that the quality of picture and recording is the best I've seen so far, heartiest congratulations and well done on a superior job. Can't wait until next October. Thank you again dear Sir ! "Just to say how much I and my guests enjoyed the wonderful Mantovani Concert in the Pavilion the other Sunday, it was all so marvellous, even the best ever!!" "Thank you for sending the DVD.It is absolutely great!! We watched it Saturday evening with a friend who has seen all the Mantovani DVDs we have." "I wasn’t able to attend the concert on Sunday as I had to go to Northern Ireland on family business. Luckily my wife and mother-in-law did go. they both loved the concert, especially my mother-in-law who is of that Mantovani generation. She particularly raved about the wonderful sound of the strings and the choice of music played." "The concert was wonderful and I felt very emotional. I met a member of the Indian family who won the CDs/DVDs, he said they came over from India especially for the Mantovani concert." "My Wife and I, and friends, would like to thank you and all the musicians, and singers for a wonderful concert on Sunday evening. We thought it was one of your best concerts. Also many thanks for allowing my step-son and two of his children and myself to attend the rehearsal in the afternoon. They all found it very interesting, as Paul, my step-son plays the trumpet and cornet in the local Googy2000 band, and plays in the Verwood Concert Brass when available." "It was a fantastic concert and I have had very positive feedback from my fellow coach passengers. I will have to lay on a coach again for October 2017!" "Of course, we did not have a chance to meet this time, but I could see how swamped you were in the Interval, and the last thing you needed was someone else to join the queue." "You have the assurance that you did exactly what Monty did for all of us for most of our lives - make us happy. I think I will sleep well tonight humming a Manhattan Lullaby heard live for the first time. "SUPER! FANTASTIC! BEST YET! How can one describe Sunday evening? As ever we thoroughly enjoyed the whole eveningand our two friends (ex English National Opera and he a former teacher at Royal Academy of Music) akso enjoyed it,and when you produce the DVD - which I shall want one - you will hear him call out in true opera style "BRAVO" "BRAVO" after each time Rossano sang..He thought he was superb!" "This is to let you know that I traveled from Virginia USA to the concert in Bournemouth and was very enthralled and so much enjoyed the experience. Thank you and the orchestra for the hard work and effort that went into this. I am 66 and remember well as a child jumping about the room to the strains of Luxemburg polka, Queen Eliz waltz, Little Swiss waltz and other pieces which delighted me and made me a Mantovani fan for life. I am already planning to attend the next concert if possible."